Palmetto State Park, located 5.5 miles South of Interstate off of US 183 in Gonzales County, is just one more example of vintage Civilian Conservation Corp (CCC) constructed buildings in Texas State Parks. However this park is known for many other things. 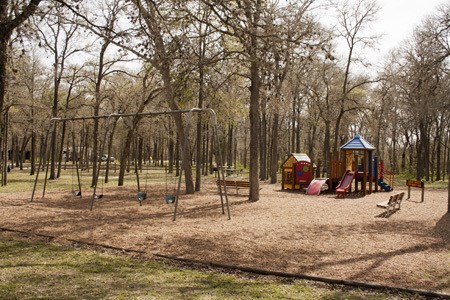 The park has lush forest floor and swampy marshes the parks supports a wide variety of plants and animals. Birding is especially good in the Fall, in the Spring, humming birds and butterflies take the front of the stage. A stand of dwarf palmetto (Sabal minor) plants, from which the park gets its name, is found around the park's swamp. 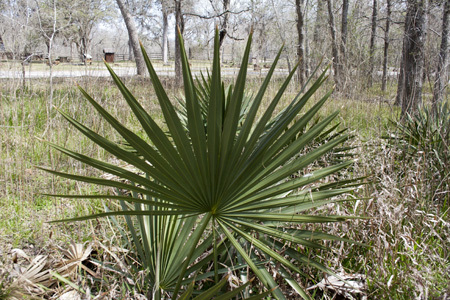 These plants are common in east and southeast Texas and also so in parts of the southeastern United States but this stand located mostly in the park, is the furthest west that they are found. 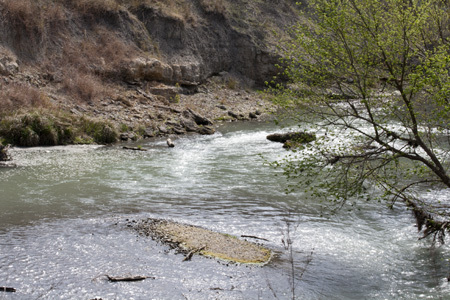 The primary feature of the park is the San Marcos River. It river is the life blood of the park supporting an abundant of plant and wild life and is at the center of park recreation activities. From bird watching and hiking to fishing, swimming and canoeing the river makes it all possible.